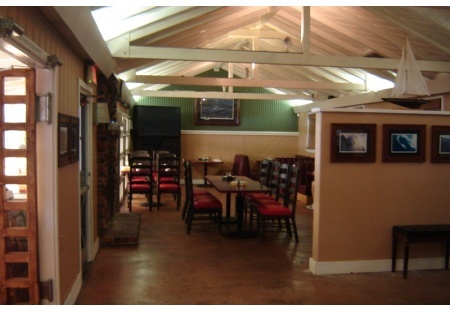 Encinitas Beach Location; Casual Dining Menu with Outstanding BBQ & Burgers! If you've been searching for a North County beach location ... check this listing out, right on Hwy 101! The owners purchased this business in early 2007 as a business investment and is looking for an exit. The owners have installed a new parking lot and tons of clean up and TLC, painted, and all the repairs made to perform optimally. It is positioned for growth, and has lots of potential upside! This restaurant is located on Highway 101 in Encinitas with excellent dedicated roadside signage and great visibility to the building. Customers frequent this restaurant for its food quality, flavors and freshness delivered on a consistent basis. Best known for its burgers and hand pulled BBQ pork sandwiches, casual dining variety menu and a wide assortment of beer and wine to compliment a meal. Current avg. monthly gross sales are $27k, seeing positive increases monthly. Approximately 1,325 sf space, which includes an outside refrigeration/freezer unit. Plus, there is an outside area for additional seating. It also has a stand alone walk-in cooler and extra storage sheds outside for catering equipment/storage needs. Base rent is $3,000 per month or 6% of gross, whichever is higher. Lots of charm and character. The surrounding population is approximately 90,000 and can provide a great platform for your business. The key employees are in place and could be there to help jump start your new business. Take the next step and complete the online confidentiality agreement and you'll be provided with the location address. Also, you will be given priority notification to new listings in the future; prior to the general public giving you the best chance to scoop-in the best opportunities. Casual Dining Or, Conversion Opportunity!